When Nathan Palmer and Jeff Morgan take up bare-knuckle boxing they soon regret their decision. With the results of the fight having been decided beforehand, they find themselves running from the aggrieved Sheriff Armstrong Beck and the even more aggrieved townsfolk of Lone Gulch. They seek to make amends, but that leads to them taking part in another fight and this is one where the stakes will be as high as they can get. Unbeknown to them they have become embroiled in a secret world where rich men pay not to watch boxes fight, but to watch them fight to the death. As this is a dark secret these powerful men will go to any lengths to protect, Nathan and Jeff will need to do more than just fight with their fists if they are ever to get out of Lone Gulch alive. It’s been a while since I read a western that features boxing of any kind as the main storyline so this made for a great change from the more usual plot lines about gunfighters, lawmen or ranchers for instance. I’ve read a few books by Scott Connor and have always enjoyed them and this book is right up there with the best of his work. Nathan and Jeff may be mentioned in the blurb, giving the impression they are the heroes in this fast moving tale, but they are just two of a number of people the story revolves around, some of whom aren’t all the first appear to be. Scott Connor's stories always have a number of twists and this book has a couple of great ones to take the reader by surprise. The fight scenes are particularly well written and you can almost feel every punch as it hits home. It’s not all fists though as Scott Connor does include some gunplay too. One of the main things I liked about this book was that there was no-way I could predict who would be alive or dead by the end and that was one of the major elements to the story that kept me turning the pages. Once again Scott Connor has produced a well-written and very entertaining story that has left me eager to read whatever he writes next. The Civil War may have ended, but the divisions still remain among its survivors. Some continue to rally for equality. Then there are others, like the Knights of the Rising Sun. They’re a group of vicious vigilantes who want to halt progress in Texas and put an end to bluebellies and carpetbaggers by bullet, fire, and noose. Any story set in this time period of American history has to touch on the politics of the day and Lyle Brandt uses this well to explain the driving force behind his characters. His passages of historical beliefs adding great depth to this violent tale of one man taking on massive odds. With Ryder facing so many enemies the story features a substantial amount of gunplay which often sees Gideon in a how is he going to get out of that situation. Beating the Knights of the Rising Sun is not the only fight he has to face, he also has to win the trust of those he is attempting to help, and this isn’t easy when no-one seems to have heard of the newly formed Secret Service. 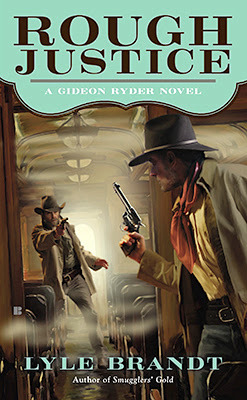 Lyle Brandt is a pseudonym for Michael Newton and his mix of action, historical politics, and some terrific exchanges of dialogue make for a winning combination and, for me at least, make it such a shame that this series fell victim to Berkley ceasing to publish westerns. The Gunfighter known as Brolin was thought to have been dead for the past ten years. That was until Red Mike Stall and his outlaws hijacked the westbound train and attempted to murder everyone on board. Stall recognized Brolin from the old days and left him to burn in the abandoned church with the other passengers. He should have shot Brolin then and there because the gunfighter managed to escape and now is dogging the bloody trail Stall has left in his wake. With the help of Emmett King, a greenhorn store owner who lost his son to a stray bullet from the outlaws, the pair eventually catch up to Stall in the town of Miller’s Crossing. In a final bloody showdown, can a dead man win the day? Or will a killer continue his murderous rampage across the high country? And what is the secret Brolin is hiding? B.S. Dunn has created a great set of characters and his storytelling will make you want to know happens to them, particularly Brolin and King. The story starts with a prologue that explains the history between Brolin and Stall and then we move forward to the train robbery and the horrific fate that awaits the unlucky passengers. The scenes in the burning church make for suspenseful and compelling reading. The writer then ups the pace as the book becomes a chase tale fuelled by revenge. There is plenty of action which includes an exciting encounter with some Blackfeet. Brolin also tries to keep King away from deadly gunfights but you just know that isn’t going to happen, even knocking the greenhorn out isn’t enough to stop the storekeeper riding into a situation he isn’t experienced enough to handle efficiently. The end shootout is dramatic and brutal, which in turn leads to a solution to past events that made me grin, as did the future for Brolin. B.S. Dunn is a pseudonym used by Brent Towns, and he is already building up a fast growing posse of fans. If you’ve not read anything by him, then this book is a perfect introduction to his work and I’m sure, like me, you’ll then be eager to read more from him. In the shadow of the mountain, Rosa Jean Kennedy lives alone, waiting. Vengeance for her brother’s death is the only object left in her life, the one thing that steels her resolve to continue in a solitary, sometimes perilous existence. When mustanger Quincy Burnett arrives on the mountain, he finds himself strangely drawn to the silent, lonely girl who seems to rebuff all attempts at friendship. But Rosa Jean is determined not to let anyone—even Quincy—stand in the way of her revenge, and her determination may lead them both toward disaster…for there are other dangers lurking in the mountains besides the wolves whose howls are heard at night. 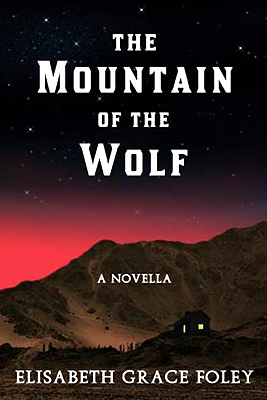 This novella is billed as a Western re-imagining of Little Red Riding Hood in which a girl is willing to walk into the wolf’s den—but will she really find what she is seeking? One of Elisabeth Grace Foley’s strengths is creating characters you can believe in, care about their wellbeing and hope they are successful in their aims. Another of Foley’s fortes is her ability to describe situations and places that make you feel you are there with her characters, experience their emotions, be they happiness or fear, and for the most part of this terrific tale there doesn’t seem to be much of the former. Like the majority of fairytales this story has a dark tone, and to begin with you won’t see much of a connection with the Red Riding Hood tale as the novella reads much like any western and has a storyline that throws suspicion on Quincy Burnett – is he who he says he is? Later, as Rosa sets off with picnic basket in an attempt to fulfil her desire for revenge the parallels with Red Riding Hood become terrifyingly real and Foley builds the suspense superbly. To say anymore would spoil this beautifully written tale. I’ve read a couple of Elisabeth Grace Foley’s other western works, and this one has to be the best yet. Mountain of the Wolf is the third of Elisabeth Grace Foley’s series of fairytale-retelling novellas set in different historical eras. Tom Belman has been drifting west since the end of the civil war, lured by tales of wealth and verdant valleys in the territory beyond the far sierras. In the Texas panhandle, however, close to the Canadian River, his progress is interrupted when his horse is stolen. His pursuit of the young thief leads to an unfriendly reunion with a former soldier in Tom’s unit, Lou Currier, who is now sheriff of a small town called Ortega Point. A subsequent lynching compels Tom to find and return to her home an unknown girl who is also being sought by Currier’s posse. But the girl is not easily dissuaded from her investigation into the affairs of businessman Andrew Willis and when she returns to Ortega Point she puts herself and Tom Belman into a deadly situation. 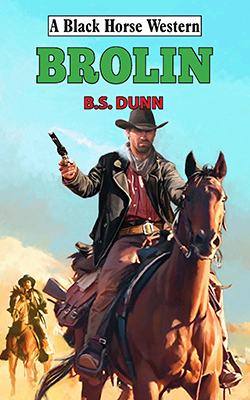 Will DuRey hooks his readers right from the beginning of this fast paced story with a number of questions that you’ll be eager to find out the answers to, such as why does the young man try to steal Belman’s horse? Why is Currier’s posse so desperate to see that same young man hang and why are they chasing the young girl? What does she suspect Willis of doing? Belman could easily ride away from these troubles but a hint of guilt sees him stay the distance, and in doing so gets himself involved in all kinds of deadly situations that result in a lot of gunplay. The backstory of Belman and Currier seem to be leading to a confrontation too, that might or might not have something to do with Ortega Point and the secrets some of its citizens hide. I’m not going to reveal the outcome here, but I will say everything resolves satisfactorily if not with some kind of poetic justice. I’ve read a number of books by Will DuRey and this one is equal in quality and entertainment value with any of those and I will certainly be looking out for more of his work. A year after the first Wanted short story collection was published the second book in the series from The Western Writers Group has been released. Six of the authors from the first book appear in this one, with the addition of Ken Farmer who replaces Lou Bradshaw. Like the first book, this collection of authors present the reader with new short stories that feature their own series characters, so you can read about Steve Dancy, Gideon Johann, Lee Mattingly, the McCabes, Jess Williams, Fiona Miller, and Storm Warrior. Like any anthology this kind of collection is an ideal way to try authors who are new to you, or read new material from some of your favourites. 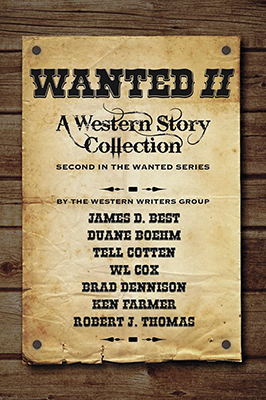 Some of these tales fit in chronologically with the characters own series, some would fit in anywhere, and one of them continues a storyline begun in the first Wanted book. I would like to point out that you don’t need to have read any of the previous tales to enjoy any of the stories found here, but you may well find yourself rushing out to read more about some, or all, of them. Here you will find stories that range from the traditional approach to western storytelling to one that borders on the mystical. 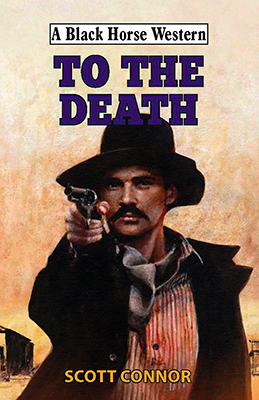 There is plenty of action, some shocks, animal stars, and humour to be found in these fast moving tales, so there should be something to satisfy every western reader. Me? I’m already looking forward to the third collection. 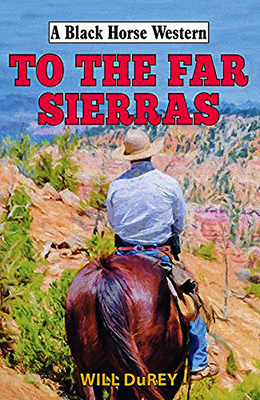 In a remote wilderness, a band of outlaws chases Steve Dancy. They want his horse. They want his gear. They want his money. And they want his life. Deputy US Marshal Fiona Miller isn’t aware that two other groups are after two teenage boys and the $5,000 in loot from a bank robbery. One is a band of outlaws and the other is a posse of vigilantes led by the father of a young girl shot during the holdup. Who gets to the boys first? Gideon Johann and Farting Jack Dolan find that they get more than they bargained for when they cross paths with a runaway girl while chasing a murderer. Jess has finally hunted down and killed the notorious Russell Bell and is on his way to the closest town to turn the corpse in for bounty. Along the way, his sometimes partner, Shadow, a huge timber wolf, finds him and leads him to a wagon where a beautiful woman was beaten up during a robbery and her husband shot dead. Jess helps the woman get to the town of Elk Ridge and then hunts down the three men responsible for the robbery and murder. When he does, things aren’t what they seem to be. A prequel to the novel Thunder. A story of the McCabes and their early years in the valley. Lee Mattingly and Brian Clark find a man bushwhacked and left for dead. Blamed for the crime, they are thrown into prison. However, they won’t go down without a fight. Along the way, they run into corrupt horse traders, a deputy with a grudge, and a woman with bitter memories. Charles Crawford, a man raised in China by Buddhist Monks after his parents were murdered travels to America and is captured by Sioux Indians as he travels west. This is an episode of Charles’ life while living with the Sioux.